Having been responsible for bringing his sire VERGLAS to WA over the 2003 & 2004 seasons Bloodstock Agent John Chalmers is well qualified to make an assessment on the attributes and likely stud success of Vert De Grece. "He is taller than his sire, has more length and overall strength, and has an excellent temperament." "His win in the French Group 1 event was nothing short of amazing as two-year-olds simply do not show the turn of foot and run away from their opposition as this horse did." Hong Kong trainer Caspar Fownes paid €1m for the horse after his third start in Ireland and following his closing second to the outstanding GLENEAGLES in the Group 2 Curragh Futurity and who progressed to be of the highest class going on to win no less than four Group 1 events. Such was the dominance of the French win by Vert De Grece, connections decided he must be left in France for his three-year-old season and aimed at the French Guineas and other classic events. All went wrong when he split his forearm and was confined to a box for many months and missed the entire season. He was sent to Hong Kong in late 2014 he was aimed towards their classics including the Hong Kong Derby. Caspar Fownes will be the first to admit he made a grave error of judgement in endeavoring to push the horse too quickly to get those races considering his lengthy lay off from competition after such a serious injury. One will never know, however it could be that injury in France may never have completely healed or that his action could have changed and was compromising causing the bowed tendon. Western Australian breeders have rarely had the opportunity to access a Group 1 winning two year-old. Not only is Vert De Grece a Gr. 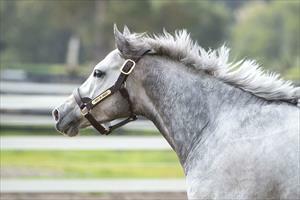 1 winning two year-old, he is from a proven sireline in WA. Vert De Grece is by Verglas (IRE) a real genuine success story when he stood for 2 seasons in WA. In just 2 WA crops Verglas sired 8 stakes winners plus another 5 stakes performers with a 60% winners-to-runners and average earnigs per runner of $64,000 from WA-bred crops. 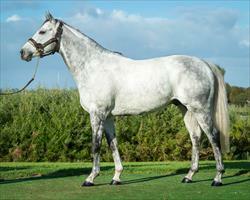 Vert De Grece is also closely related to arguably WA's best sire in the last 25 years, Metal Storm. Vert De Grece's grandsire Kenmare and great grand-dam sire Habitat are Metal Storm's sire and damsire. 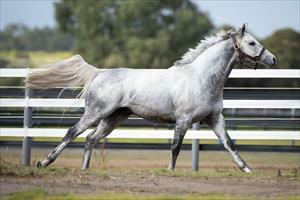 Verglas was an outstanding success as an outcross in WA where he sired 13 stakes horses from just two crops. The majority were from mares carrying Star Kingdom or a duplication of his grandsire Hyperion. Vert De Grece is heavily inbred to Somethingroyal (6m 6m x 6m 6m) which does extend to the seventh generation of the progeny should a mare carry the lines of her sons Secretariat and Sir Gaylord. 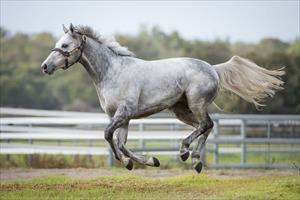 Danehill line mares are an obvious outcross as they carry several duplications of Hyperion. Sadler's Wells line mares are ideal. They are inbred to blue hen mare Lalun dam of Bold Reason and Never Bend. So is Encosta De Lago as he is by Fairy King,a brother to Sadler's Wells. Marooned mares will suit. He is by Mill Reef, a son of Never Bend. Trade Fair mares are a must to Vert De Grece. They are inbred to Somethingroyal. Mares from families that have aready produced quality horses by Metal Storm and Verglas are highly recommended. We never saw the best of Vert De Grece who would have only improved on his outstanding record.